“To contemplate and to give to others the fruits of contemplation” - this is one of the treasured mottoes of the Dominican Order. It sums up the goal of a spiritual son or daughter of St. Dominic. To attain this goal, we centre our life around the two great spheres of prayer - Contemplative Prayer and the Sacred Liturgy. Our life of contemplative prayer comprises daily periods of Mental Prayer and Lectio Divina, which are nourished by our study of Truth as found in Scripture and in the Church's sacred teaching and Tradition. The Solemn celebration of the Liturgy is described in our Constitutions as "amongst the principal functions of our vocation". We sing in choir each day at least five Hours of the Divine Office - Matins, Lauds, Terce, Sext or None, Vespers and Compline. Some of our Office - the unchanging texts, as well as the traditional chants of the Order used on feast days, - is sung in Latin. We have access to and fully appreciate both the Ordinary and Extraordinary forms of the Latin Rite of Mass. We preserve in practice, as far as possible, the Church’s and the Order’s liturgical traditions in music and ceremonial. 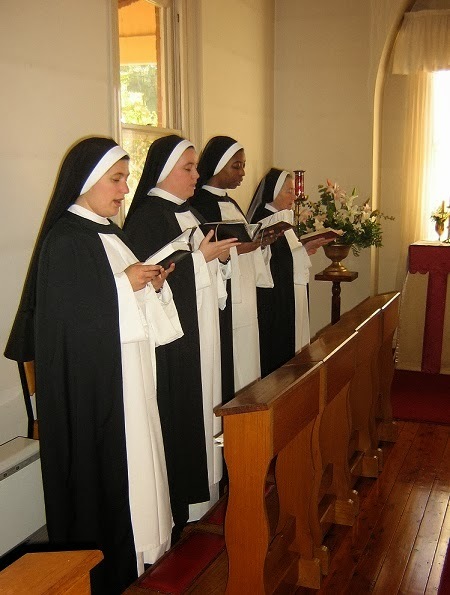 True to the ways of prayer favoured by our Father St. Dominic, the Dominican liturgical style is "incarnational" - showing forth interior devotion by strong bodily gestures. 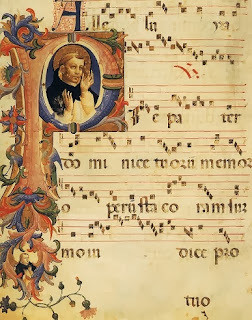 Our chants and prayers are, according to the traditions established by St. Dominic, sung or said in a succinct, lively yet devout style which expresses the combination of contemplation and action. 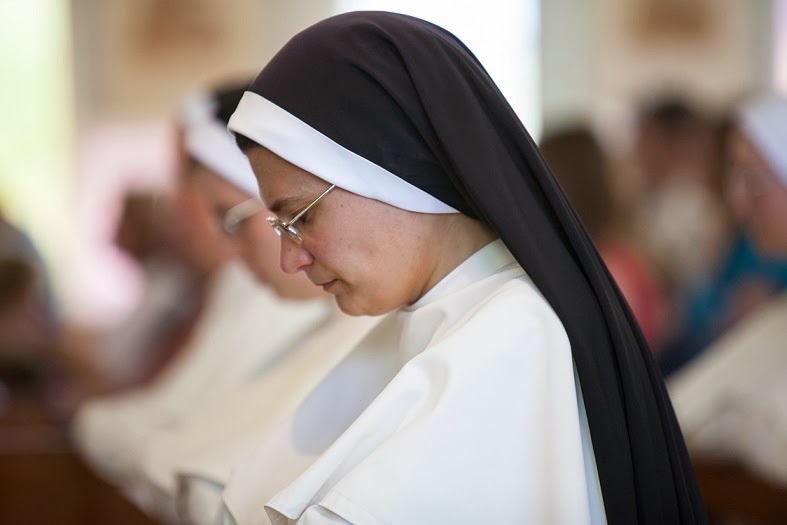 The glory of God and the salvation of souls is always the intention of Dominican prayer, which is firmly rooted in the Church and attuned to its needs. Devotion to the souls in Purgatory is a special feature of Dominican prayer not only daily, but on the special anniversaries observed throughout the year, and weekly, in the "Libera Me" procession. 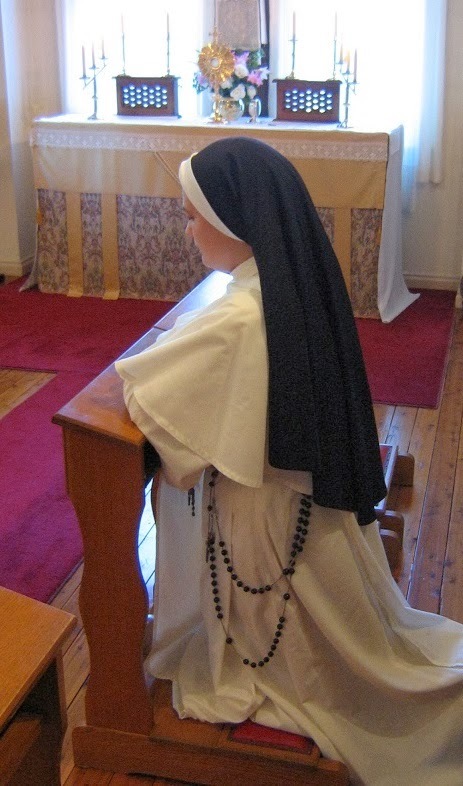 Devotion to the Mother of God is reflected in many Dominican customs - the daily recitation of the Rosary in common, the solemn "Salve Regina" procession each night, the sung Litany of Loreto each Saturday and a monthly Rosary procession traditional in the Order.